The striking feature of this oversized pendant is the hand applied black steel patina. Natural variations in the patina provide a beautiful contrast between the darker black and raw steel. 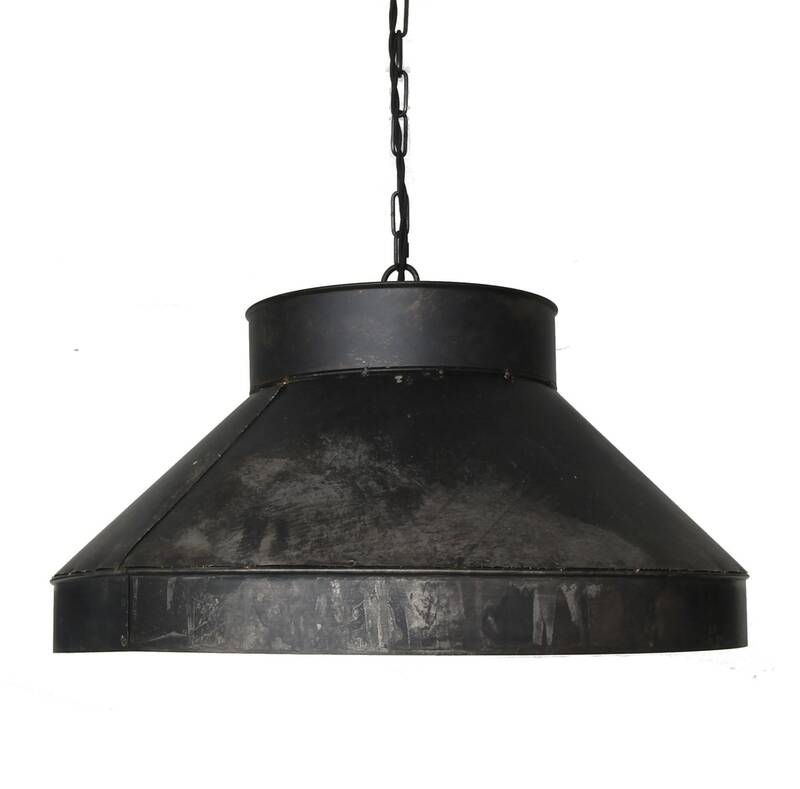 This pendant measures 22" at bottom an 10" at top 12" tall with 3' of black chain and a matching black steel canopy. The pendant is best paired with a LED Par 30 reflector bulb to supply ample down light for overall ambient light or task lighting. Fixture can accommodate up to 75W bulb (holds one bulb (not included). Includes a hardware for hardwired install.